Update: This 50K+5K increased bonus offer will expire at some point in middle of the day today, 09/02. Afterward the bonus will return to 30K+5K. This has long been a targeted offer but is now available publicly. The $95 annual fee is waived for the first year. You’ll earn 50,000 bonus miles for spending $2,000 within 3 months and an additional 5,000 miles for adding a free additional user card and making a purchase within 3 months. 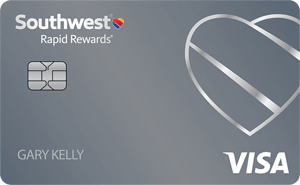 Spend $2,000 on a new card and add an additional user and you’ll have 57,000 miles. A short-haul United domestic award under 700 miles in distance is just 10,000 miles. That’s a lot more than the BA 4.5K short-haul, but it allow for a longer distance and you are allowed to have connections for the same rate, something that BA doesn’t allow. A round-trip ticket to 2 European or South American cities is just 60,000 miles round-trip thanks to a free stopover. You’re even allowed a free open jaw on the same itinerary as a free stopover to really maximize your travel. Best of all United never charges any fuel surcharges. Other airlines like American and USAirways collect massive fuel surcharges to fly on British Airways. Delta charges fuel surcharges to fly on some partners and if you originate in Europe and other regions. United will never collect a fuel surcharge and they have access to awards on 36 partner airlines which means better availability on more awards. -It is the only card that gives expanded award ticket availability. Cardholders have access to expanded saver coach award availability (XN class), last seat standard coach award availability (YN class), and last seat standard business/first class award availability (JN class). -You can read about examples of expanded availability in this post. -You can learn more about searching for those classes in expert mode in this post. -As you have better access to saver coach awards you’ll also have better ability to do Plan B awards. Plan B allows you to redeem for saver business and first class awards when there’s only saver coach available. Based on DDF reports and my own experience people have better than 95% odds of being seated in business class on a Plan B redemption. -Read more about Plan B in this post. -The United and Chase Sapphire Preferred cards are among the only cards that come with primary rental car CDW insurance. Almost every other card only has secondary coverage when you rent a car in your home country. This means that if you damage your rental vehicle you must file the claim with your own personal insurance policy first, and only if they won’t cover the damage will the credit card cover the damage. Even additional cardholders get primary coverage when they rent. With primary rental car CDW insurance you will not have to file anything with your own insurance company. Chase will cover the entire bill for any damage to your rental car. Just be sure to decline the rental agency’s CDW coverage. This primary coverage applies in every country in the world. No airline card besides United offers primary CDW insurance. -The United Explorer card gives 2 free United Club passes every year for being a cardmember. -The United Explorer card gives a 10K mileage bonus every year in which you spend $25K. That means you’ll earn at least 1.4 miles per dollar spent everywhere if you spend $25K in a year. Spending $25K in a year also waives the requirement to spend $2.5K on United flights to get Silver status, $5K on United flights to get Gold status, and $7.5K on United flights to get Platinum status. You only need to fly the 25K, 50K, or 75K miles like in the good old days. -Your miles will never expire as long as you are a United cardholder even if you don’t have any activity. -A massive benefit for United elite members is that they can get free upgrades on coach award tickets on upgrade eligible routes if they have a United card. Plus United is the only airline that assigns elite benefits to people that you redeem awards for. That means people you book for have access to benefits like Economy Plus, lounge access, and more. Last Friday morning I flew with my family from Los Angeles to Cleveland on 12.5K saver award tickets and all 4 of us were upgraded thanks to my elite status and having a United card! -Double miles on United purchases. -Priority boarding so that you’ll have space for your carry-ons. -First checked bag is free. LOT and Brussels are excellent options for Israel flights with great award availability, but you usually won’t find those flights on United.com. Other Chase consumer cards you can simultaneously include the Chase British Airways (50K signup points, 1.25 Avios per dollar, and an annual companion award ticket if you spend $30K+ in a year), the Chase Sapphire Preferred (40K signup points plus another 5K points for adding a free additional user, no fee the first year, plus 2.14 points per dollar on travel and dining with no Foreign Exchange fees), and the Chase Freedom (which has no annual fee, gives 5 points per dollar in rotating categories, and through 12/31/15, 10% bonus points if you have a Chase checking account increasing earnings up to 5.5 points per dollar). 156 Comments On "Chase United Explorer: 50,000 Miles For Spending $2,000 Plus 5,000 More Miles For Adding An Additional User"
Will the business card also have the 50K bonus? Hi Dan, can i add my wife as an AU and and afterwords open an account on her own? Is this for new cards only? Is there any way for current card holders to benefit? how long do you have to wait between closing card to open again? Is this better than the Sapphire or Ink PLUS Business card? what if i got the card a few months ago with 30k sign up. you think they will give the extra 20k if i ask? If you apply for other Chase cards today it should work off of the same pull. The official rule is they will give the bonus if you didn’t get one on this card within the past 24 months and don’t currently have a card. Better depends on your needs. They match offers for 90 days. Interesting T&C for this offer… Any idea @Dan? Dan, I previously had the continental version. Can I get this bonus? Since when isn’t Brussels bookable online?? Dan: on the flight u took from LA to Cleveland, how much taxes/fees did u have to pay? Is it like BA that u only pay 5.60? is it possible to get the bonus again unofficially? BTW, I emailed them a week ago to give me a $50 statement credit on this card, and it worked. Thanks for the post, I have been waiting for this! Stupid question, are miles transferable, like between spouses? @dan Can these points be transferred to sapphire type points because I have a sapphire preferred card?? Officially as long as the last bonus was 24 months ago then you’ll get the points. Definitely worth the SM for the extra $50 statement credit. Miles aren’t easily transferable, but you can book a ticket for anyone and you can book one-way awards for half price. 1. You are 100% wrong. Pay for the taxes with the card and you will get a free bag. 2. That’s a benefit for just having the card, no paid flights required. No, but Sapphire points can be transferred into United miles. The business version is only showing 30k. Where do you see the 50k offer on the business version? In Firefox I’m seeing 50K but in Chrome I’m seeing 30K. Can I still use a new United mileage number to get the bonus again within the same year? Heh, I wish. Would be way less time intensive. If you don’t try you won’t know. Probably will take a call to Recon explaining that you want to fly United more often and want the card unique benefits. A question, what should I go 4 the marriot 70000 or the united 57000? Positive. Even if the connection bumps you way over 700, they just measure the distance between the origin and destination airports. Brussels comes and goes from UA.com. Best as I can tell now it’s not there. Can always use ANA or Aeroplan and/or call United to book. If I apply for united consumer and ink business will it be one pull or should I do united business and ink business for one pull? Some people report one pull, others have two pulls in that scenario. Even if both are business versions? Sorry, just read the first part. If they’re both business it should be 1 pull. Still these things are always YMMV. How long after old card cancelled can re apply? is there a diff which united you get? i booked a saver award flight with united miles to europe on lufthansa and they are telling me my bags are not free since i am not flying a united plane (even though i paid taxes with my united credit card). is this correct? Call a broker and ask. The official rule is they will give the bonus if you didnâ€™t get one on this card within the past 24 months and donâ€™t currently have a card. Nothing to do with cancellation date. Correct, the free bags is only on United flights. What’s the $50 statement credit for? Yours for asking for a match. If I apply for consumer card for 50K bonus- could I on same day apply for the business card for the 30K bonus as well ? Like I said Brussels comes and goes. I saw several flights this morning on ANA for Brussels that were not on United.com. In general Google is pretty good at figuring out acronyms. Anyone know if United will give the free baggage allowance if you didn’t book the tickets with United Card? Officially you need to pay with the card. But at the counter they may waive it and the system might do it automatically if your mileage number is in the res. So can I get the bonus again if I already got it last year? I called and asked to have the extra 20,000 points added, as I joined this card as a member less than two months ago. Awaiting a reply. I just got approved for Explorer 30k miles a few days ago, how do I request the match to 50k? over the phone or private message? Is it true you can only apply for a maximum of 2 cards with chase per 30 days? No, many have gotten 3 in one day. Just last night my husband and I paid for 2 coach seats on United to Kauai for our honeymoon (we only had enough Chase UR points to cover the hotel- 6 nights in the Grand Hyatt Kauai! Which we booked just based on how awesome you make that hotel look btw- we saw your trip notes and just had to be there!) Is there any benefit to signing up for this offer now? Even if we paid for the flights in cash, can we sign up for this offer and somehow use the miles to upgrade to first class? We have 72 hours from last night to cancel our flights without penalty. Probably won’t be worth using miles for an upgrade, but you can always save them for the next trip. Did you try using Cash & Points for the hotel? I got this card exactly two years age, the bonus I got two month later. do you know if I will get the bonus again? @Dan: As far as I know, international flight would give you free baggage check-in…Dan? Can I transfer my freedom points to this cc? The hotel didn’t have that option for the dates we’re going, rooms were selling out as I was booking. So just to clarify- just having this card gets us free first baggage? And if I were to get the 55k offer with additional user would I be able to call United and upgrade my existing reservation with points- do the even do that? Would a student w/o much income be approved for this card? UA Explorer, Sapphire Preferred, and Hyatt Card. Bad news is that my UA and Sapphire seem to have been declined (based on 7-10 waiting period), but the Hyatt card was instantly approved! That’s my first ever instant approval for a Chase card! Could my spouse sign up for this card via the Chase website and have my Mikeage Plus number attached to the card? I already have the Explorer card. Just applied and got approved but forgot to add a second card can I do that after I recieve my card? Can I apply for the card for me and my wife, and credit the miles to the same united mileage account? Is chase enforcing the 24 months? I see on the regular saphire it says the term of 24 months as well. was this always there or its something new? Dan I recently applied for a United Explorer card and conditions were 30k for 1k of spending, so can I can them to get this deal applied to that card? I just applied and I got pending – should I call in? If so is there a number? a gut voch dan, i just got the reg united offer[30k] 3 month ago and just spend the 1000 dollars. Can i send them an email to ask them to match this offer for 50k? Sent a secure message and got matched to get another $50 on top of the 55K miles, easy money. When booking an aword flight with united over the phone like brussls air. Does united offer economy and bizz SAVER awords? Do you think I was blacklisted ? Dan how do I apply for two cards at the same time?? 12.5k each way. 25k round trip. Just figured Ide mention this, if your getting different points offerings try going into private browsing mode, that might take care of the issue. 1. My husband had this card in 2011 or 2012 and didn’t renew although did considerable spending on it. I am not sure when he received the bonus, i.e. was it 24 months ago?? It is taboo to call and ask them? 2. My husband is an authorized signer on my chase united card, does that disqualify him? 3. I recently (end of june )applied and received a chase sapphire preferred and freedom. He applied same time and received a chase southwest premier same time. All based on one household income. We also have several other chase cards. Too risky/soon to apply again for this? hi i need an answer to bobs q? “Is chase enforcing the 24 months?” do you know if i cancled 16 month ago i have a chance at getting it, or thay are very strict with the 12 month rule? Is there a way to link the CC a/c to a FF# with a different first name? If not, is there a way to get expanded availability some other way like by adding an additional user? Has Chase gotten stubborn with waiving the renewal fee on this card? I got this last year and the best offer I’m getting is 2 extra free lounge passes. They don’t seem willing to waive the $95 fee. I got the cards and trying to figure out how to use the points. Where do LOT list their reward charts? Or any other Israel friendly reward partner? Roughly, whats the cheapest (amount of miles) I can get a coach round trip to Israel for? Hi is it possible to get this card withonly a credit score of 713 (good) ? and how about the ba card? With the explorer there are still close-in fees for booking under 3 weeks. Doesn’t this become much less attractive for those who use miles for last-minute tickets?? How does one avoid close in fees when redeeming united miles less than 3 weeks before a flight? If you would have gone to a dds you would have known how to work around that! Can one use the feee United lounge passes when flying with another airline? Flying to PBI 1st class . On US Airways which doesn’t include lounge access unless you pay $50 each. Also, maybe I missed something but how does one justify a $50 statement credit with United? Is it safe to assume that this offer will still be matched after the expiration date via SM? @bob: You should make a point of attending one of Dan’s seminars sometime. Dan, I’m really interested in the “round trip 60,000 mile” deal to a European city, “thanks to a free stopover and an open jaw”. I don’t understand what an open jaw is, with regards to airline flights. Can you explain procedure to obtain the stop over or open jaw with the United credit card? No fuel surcharges ever apply. There isn’t a score cutoff. Yes, no need to fly United. YMMV though this has always been matchable. There are dozens of good options. I’ll try to make another Israel rate roundup soon. United has great availability thanks to the plethora of partners. You can book a stopover or open jaw online or over the phone. A stopover means you can fly to Venice and stopover in Paris as well. An open jaw+stopover means you can fly to Paris and Venice then return from Rome (and just take a train or book a cheap flight between Venice and Rome). I guess so, I had the same experience and closed the card. Dan, I currently have the no fee version of mileage plus visa card, and I have not received any UA related bonus in the last 2 years. Is it necessary to cancel the no fee UA card before applying this explorer card to get the sign up bonus? If necessary, do you think I will have enough time to cancel no fee card today and sign up the explorer tomorrow morning? Passes do not have names on them. Or as we say on DDF, DROPR, don’t rely on phone reps! You shouldn’t need to cancel that. Dan, I had 3 credit pulls from Amex 2 months ago (Experian). I know my credit was in the upper 700’s before that. Is it worth not waiting 3 months before applications and apply now? If yes, can you recommend 2 other Chase cards I can apply for today? Dan, I reread the posts here to try to get an answer to my second question: the $50 statement credit is a request to match-match what? And I looked up on google what”sm” is short for-all I could easily get was s-x machine! Approved! anyway to expedite shipping? i want to buy tonight i ticket with united. @Dan thanks for your answer was wondering if I apply for Chase sp, United card and ink plus, since I’ll anyways be getting 2 pulls because the ink plus is a business card should I also apply for the United business card too, or am i pushing my luck with four applications? I just repaired my Credit. I have 2 credit cards with low limits, & very weak point earning ability. I am able to spend approximately $20K a year through Credit Cards. My main goal is to get a free trip (or trips) to Israel from The United States. Which card(s) should I apply for (& use) ? I understand that each time I apply my credit goes down a bit. SM stands for Secure Message, there is an option in ur online account by chase to Secure Message chase there you can request to get the $50 statement credit. I already have the explorer card and my husband is an AU. Can he open one up and get the points? The horrible thing with Chase is they no longer give you any retention offer and never $95 fee waiver credit when you review. If you are lucky, the only offer you may get is 2 free United pass but that is the standard offer for paying the $95 for anyone and you can buy united pass on ebay for $15. This is why I canceled this card. I just tried to book germanwings online and it says pending, which means that united will request the space from germanwings and then you wait 24 hours for ticket to be confirmed. It theoretically can be booked online but EVERY non-alliance partner faces this same 24-hour period to be confirmed or rejected. If my wife has a Chase Freedom card right now, would she benefit greatly from upgrading to this card and transferring the line of credit? Is it even feasible or would they make her jump thru hoops/deny her based on a ~705 credit score? Hi! I got the explorer a week ago, and already made all the necessary spending, but my statement closes on September 22 (in 4 weeks), is their a way to get my miles earlier? I need to book a flight! Call them to move the due/closing date to earlier day. Thanks so much! Secure Message=SM!! That makes a lot more sense, but I still don’t understand why Chase would give one a $50 statement credit when sending an “SM”. I missed that part. For anyone that misses it, I received the same offer (50,000 + 5,000 after 2,000 spending) as a targeted offer by mail which says it’ll expire October 31. Which means you’ll still be able to try being matched after today. Just applied thru your link, approved $12,000.00 credit limit!! I signed up for both BA and SP cards this summer. Did so separately so two hard pulls. Would signing up for freedom and this card hurt my credit? Do I need to transfer credit lines? I’ve been searching around DD CC forums for info on how to apply for multiples of the same card. Can anyone post a link to said forum/instructions? Would I be able to 2bm or 3bm mixing personal and business? 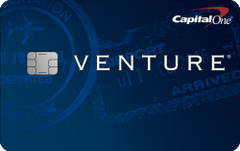 Business would only be United card if available and most likely Saphire Preferred or Chase freedom for personal. Which is better to have Saphire preferred or Freedom? Forgive me for not know but can someone answer to quick ones for me? With the companion certificate will they allow me to select aa flights as well now since they are merging? When I look at the flights on the website it seems to show booking but I know calling the 800 number to use that will be different. Also for the 50k miles, if we wait and don’t use will they roll over to AA after the merger. thanks and have a great week all. Can the United card easily be cancelled after the first year to avoid the $95 annual fee? Sometimes they have an offer which also gives u back $50 (after spending it I assume) on ur credit now dan doesn’t have the link to that offer but if you’ll ask via “SM” to be matched to that offer they should be able to do it. Should I sign up for this and the Chase Sapphire Preferred to gain bonus points for both (transferable?) and limit the hard pulls? Aadvantage awards allow 30k round trip to South America and 40k round trip to Europe off-season. You still prefer United? How long after getting approved for this card should I apply for the Chase Sapphire Preferred to limit the ‘hard’ credit pull to only one pull? Should I have applied for both at exactly the same time? It looks like that if you actually use the card on a monthly basis they might give you more. I requested last month to get the 95$ back on 2 cards and they offered me to receive 5,000 bonus points for spending a 5k in 5 months or maybe 3 months. the other card I got nothing. Depends how you plan to use them. Getting more cards helps your credit in the long run. If you aren’t approved you can always call to move credit lines around. Tough to get approved for multiples of the exact same card in general. YMMV when mixing business and personal. Sapphire Preferred has the better signup bonus and can be downgraded to Freedom. I think you’re in the wrong post. Yes. Link is at the end of the post. AA does not have 30K RT to deep South America ever. It really depends for what. AA is tough for Europe because of the heavy fuel surcharges to fly on BA. United has no fuel surcharges on any airline and many more partners. Same day is fine in general. @Dan, in your opinion, which is a better card to get for everyday purchases for accruing mileage points for United airline travel? Chase Sapphire Preferred or Chase Ink Bold/Plus? And can the Chase Ink Bold/Plus be used for personal or business only? I didn’t understand before. if I do a 2bm can I do one business and one personal? Does the United have business too? I plan to use them similar to the way you would use them for maximum benefit. I just signed up for the Chase BA card. Is it possible to get the annual fee waived? Yes united has business too, you can do a 2BM but it might be 2 hits. Generally speaking it’s considered better but depends if you are about to use united points then united is a better card because it gives you 55k points vs sapphire’s 45k but the sapphire points are more versatile they can be transferred to some 11 partners unlike united which can’t be transferred anywhere. dan, is the sm still working to receive the 50k from the united explorer card?